Welcome to Day 11 in the 31 Days of iOS. Today we’re continuing a subset of articles that deal with data storage. The last article focused on using the AppDelegate or a singleton to make data and functionality accessible between different view controllers. Today we’ll start looking at how to persist data between runs of your application. This will allow you to save and restore data even if your application stops running or the user restarts their device. The technique we’ll look at today is using NSUserDefaults. We’ll be starting with a brand new project, but if you’d like to follow along with the completed code, you can access it here. Now that our UI is done, let’s look at how to use NSUserDefaults. If you run your app now and tap the Save and then Load buttons, you’ll see the My saved data string is loaded back into the UI. However, if you kill the app, or the simulator, immediately after saving the data and then rerun your app and tap the Load Data button, nothing will show up. Let’s look at why. 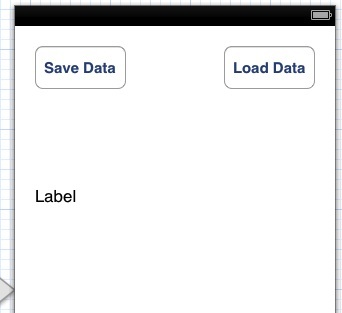 Now if you kill the app immediately after tapping the Save Data button, you’ll be able to tap Load Data and see My saved data show up in the UI. You don’t have to call synchronize yourself. NSUserDefaults will periodically synch itself if you don’t need to guarantee that the data has been written to storage. What’s really great are the last three items listed. If you’re already keeping data in a NSArray or a NSDictionary you can put them into defaults without changing anything. The nice thing about being able to store NSData is that you can encode any custom object types you’ve created into NSData and then store that into defaults. Depending on the application you are building, you can get very far with NSUserDefaults. In fact, it can be used to save quite a bit of data for a single application. There are other options such as saving plist files and core data which you can look at if you need to have data in a format you can query or want it to be relational. We’ll look at some of these methods but if your data is in types easily put into defaults and you don’t need a more relational database approach, NSUserDefaults should work for you. Today we took our first look at how to persist data between runs of your application. NSUserDefaults allows you to save data very easily and in several different formats. You can look at the finished source code here. super helpful! thanks for posting. what are the suggestions on when to use NSUserDefaults and when to use NSDictionary? NSDictionary is a data structure you can use in Objective-C to hold name-value pairs in memory. NSUserDefaults is a technique for storing data in the device's file system so it will be available the next time the app runs (as well as to different areas of your application). It's possible to store a NSDictionary in NSUserDefaults if you want to. Could you tell me how to fix this urgently as this is due tomorrow? Sorry this is so late. It sounds like you never connected your label as an outlet on your DataView Controller. 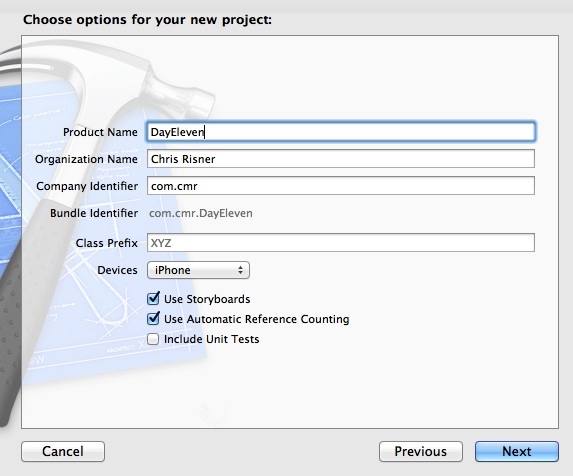 To do this, go to your storyboard, select the view controller, then go to assistant mode (the tux symbol) and control drag from your label to the interface area of your controller's code to create a new outlet. Great article, could you tell me what happens if there is an update of my app, will it overwrite the NSUserDefaults or is this stored separate on the device and not affected by updating an app??? NSUserDefaults will be persisted through app updates. If the user deletes and reinstalls your app though, they're gone! hello Chris, good this info, can we see an example of how to save/load an image loaded from code using NSData? I'm new on iOS, if I create NSUserDefault in A view controller like this NSUserDefaults *myData = [NSUserDefaults standardUserDefaults];. How can I get myData in other controller? Same exact code. The NSUserDefaults standardUserDefaults is accessible from anywhere within your ap. where you get the saving data.m? Can you give more detail on what you're asking? How do i go about doing this in swift?